Vendors are the greatest beneficiaries of the new Affinity Gateway. The Gateway dramatically reduces the time, cost, and effort required to apply for and comply with the essential requirements of affinity licensing. From online applications, electronic license agreements, royalty reporting, and payments, to instant artwork access and highly efficient design approvals – vendors are now equipped with the most comprehensive and advanced software tools in the licensing industry. Vendors also benefit from the exposure of a robust, searchable vendor roster. It has never been easier for fans, students and members to locate and support licensed vendors. 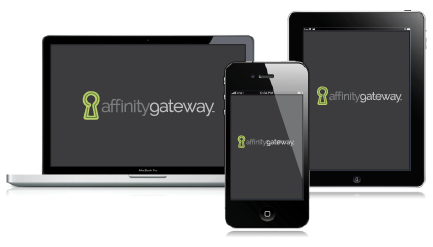 The entire Gateway platform is custom designed and built in-house by Affinity Consultants' award winning programmers and is accessible through a variety of mobile devices. Simple. Streamlined. Secure – Affinity Gateway.